Inspiration from bird wings, the symbol of freedom. This bracelet features a single bird wing with beauty carving details of bird feather. 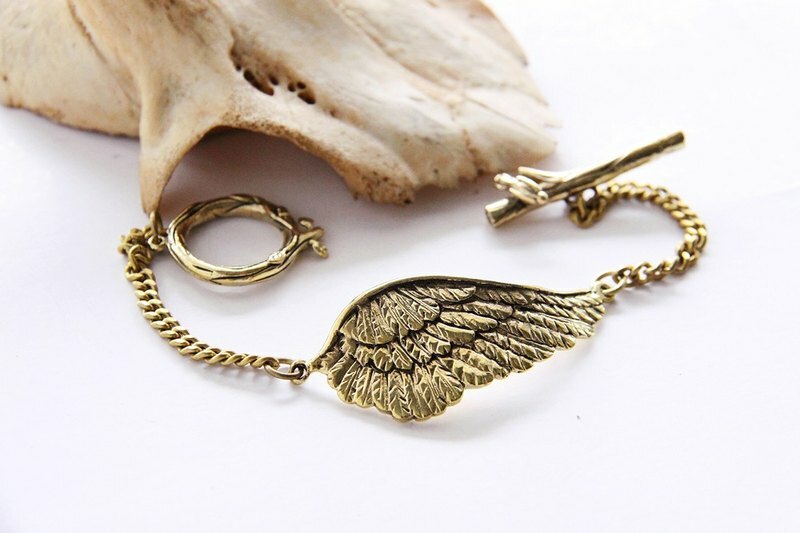 The wing comes in golden tone of brass, and is bend the shape to fit with wrist. End with gorgeous toggle clasp which has details of wine leaf, bird and branch. Measurements & Objects Info • The Bracelet is free diameters between 5-7 cm. • Weight: 21 g. • Material: brass * Your item will arrive in our beautiful gift box.